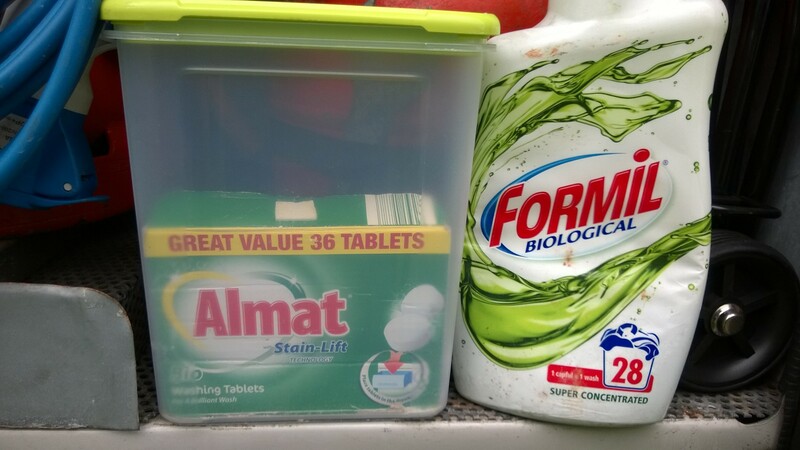 Lidl /Aldi sell these biological washing chemicals or their equivalent. They do just the same job as the expense blue stuff – 1 tablet in the toilet waste tank and 2 capfulls of the liquid into the flush tank (less if only topping up). Also a lot more environmentally friendly than the blue stuff with formaldehyde ingredients. Next Dry Wipe Notice Board! !